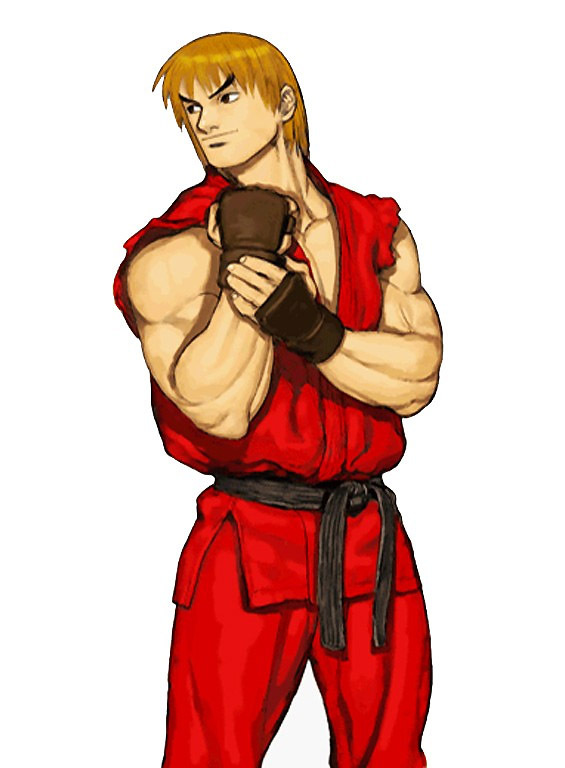 Ken was born into a rich family; his father the owner of a well known hotel chain. 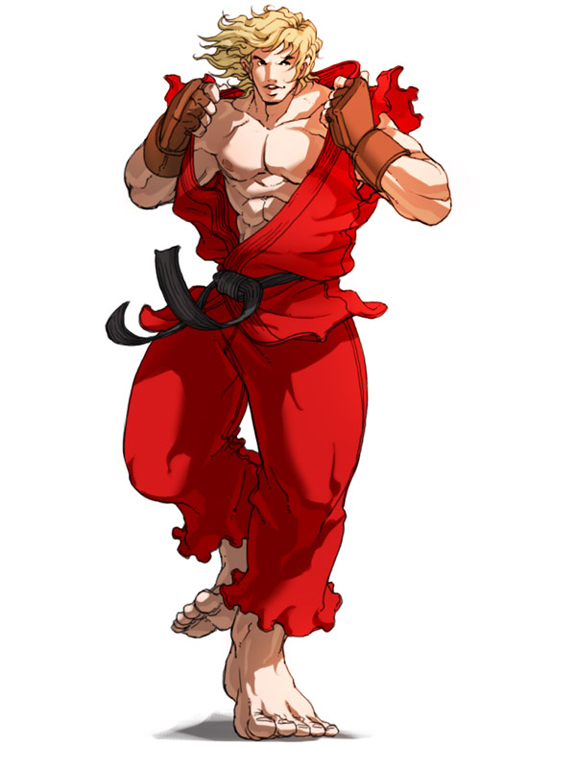 When Ken was a teenager, his father decides that his son needed to learn discipline, or else he'll become spoiled and mooch off of him for the rest of his life. 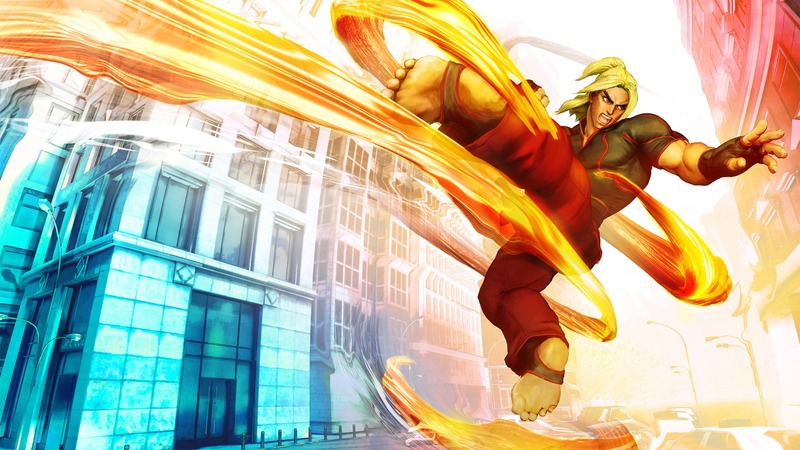 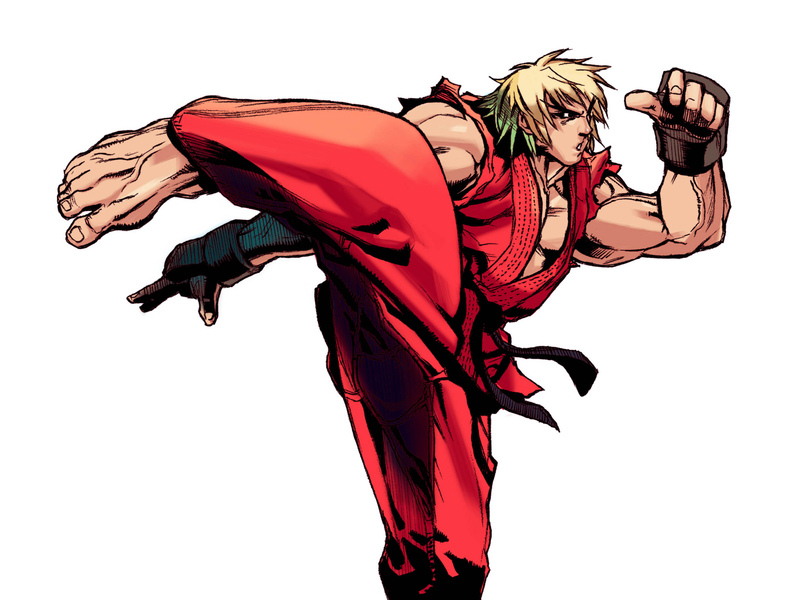 Ken is sent to Japan to train under his father's old friend, Gouken. 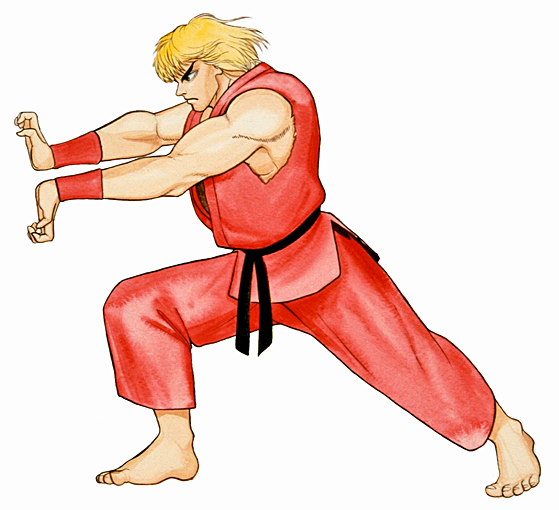 At first, Ken is hesitant and wanted to return home, but he eventually begins to respect Gouken and the martial arts. 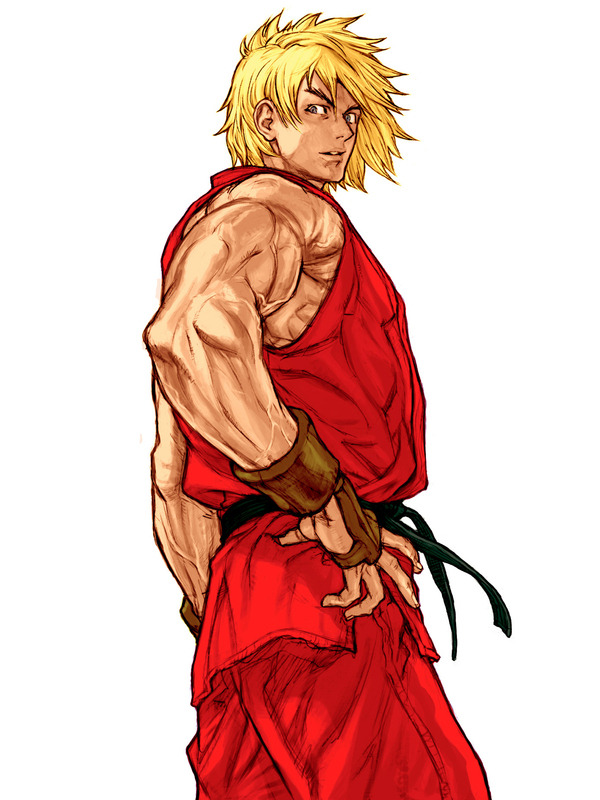 Ken soon becomes good friends and training partners with Gouken's adopted son, Ryu. 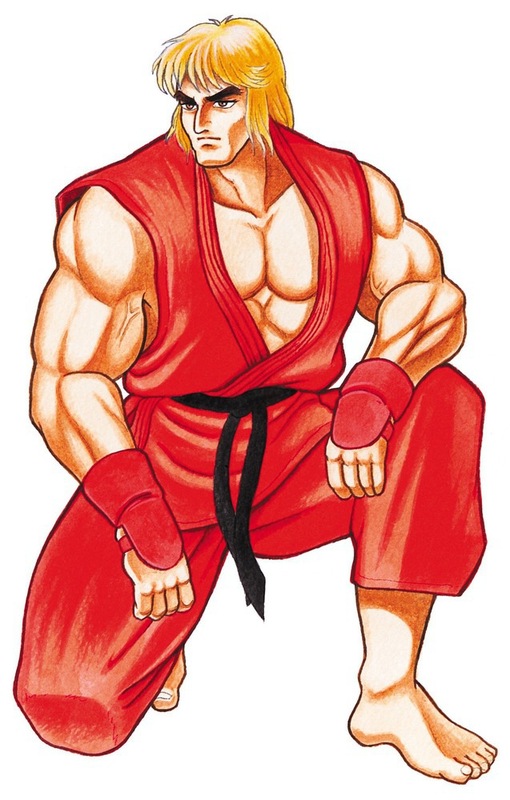 When Ryu turns 23, Gouken decides that both of his students had grown into worthy fighters and that their training is over. 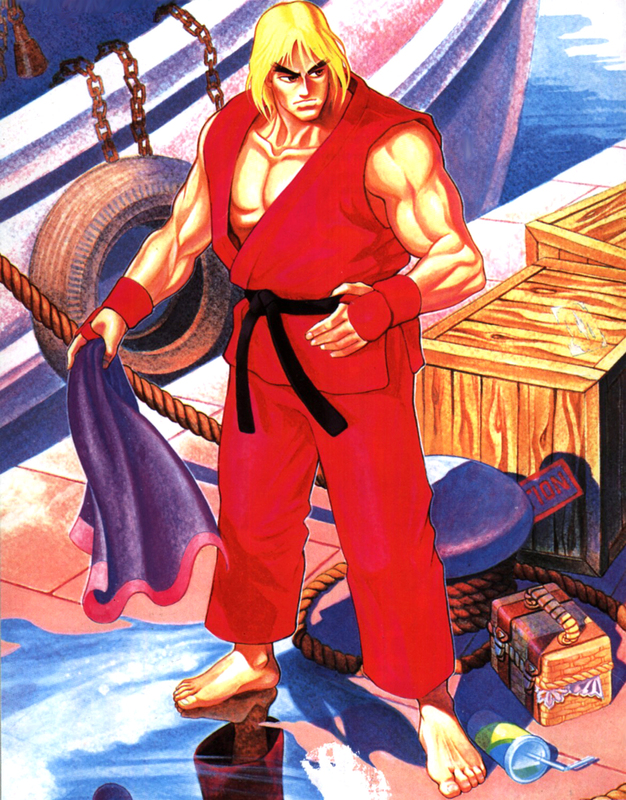 After they were permitted to leave the dojo, Ryu decides to travel the world to continue his training, and Ken is happy to return home to America. 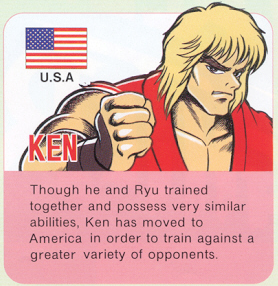 Back in the USA, Ken competes in many martial arts tournaments and is victorious in most of them. 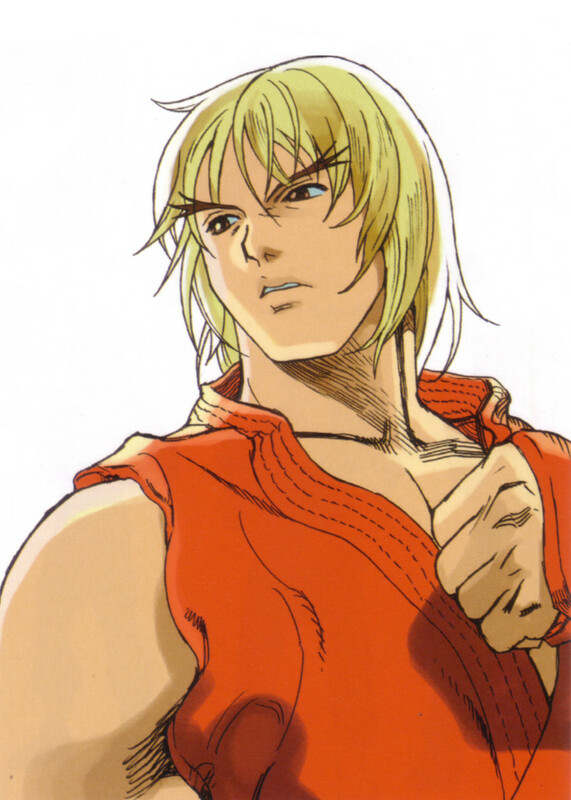 He also meets a girl Eliza, who soon becomes his girlfriend. 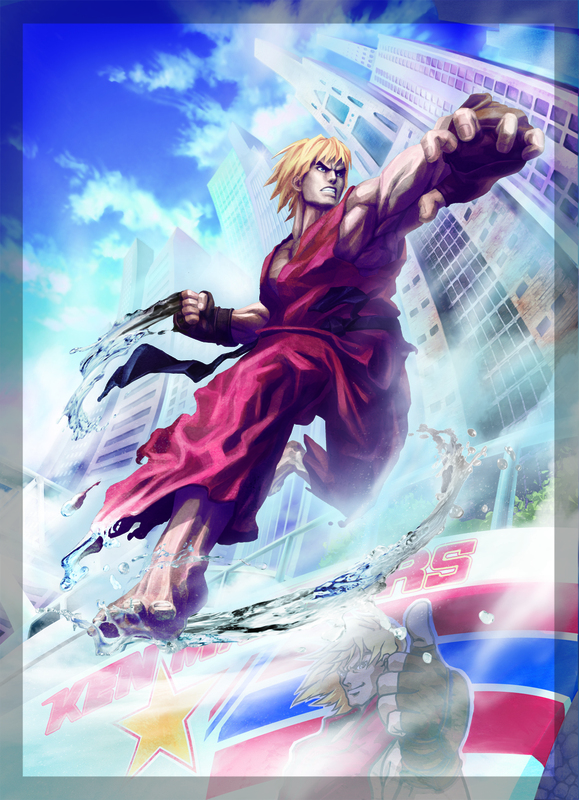 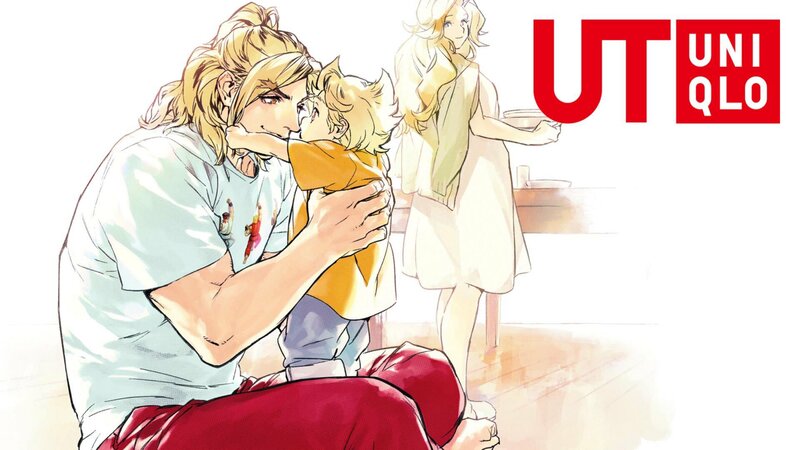 After winning a famous martial arts tournament, Ken returns to Japan to tell Master Gouken about his victory. 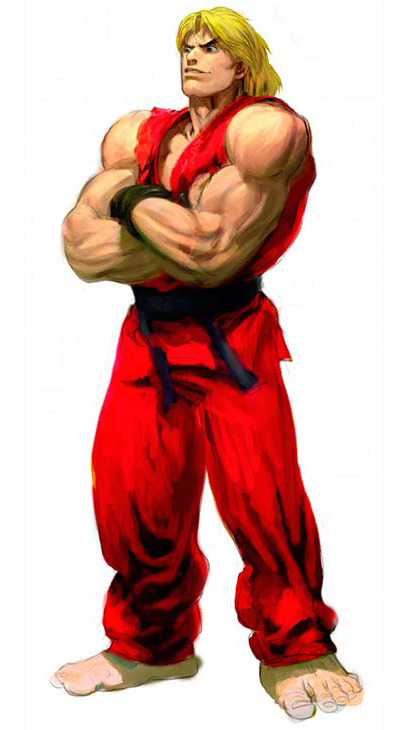 However, when he arrives at the dojo, he witnesses Gouken's death at the hands of Akuma. 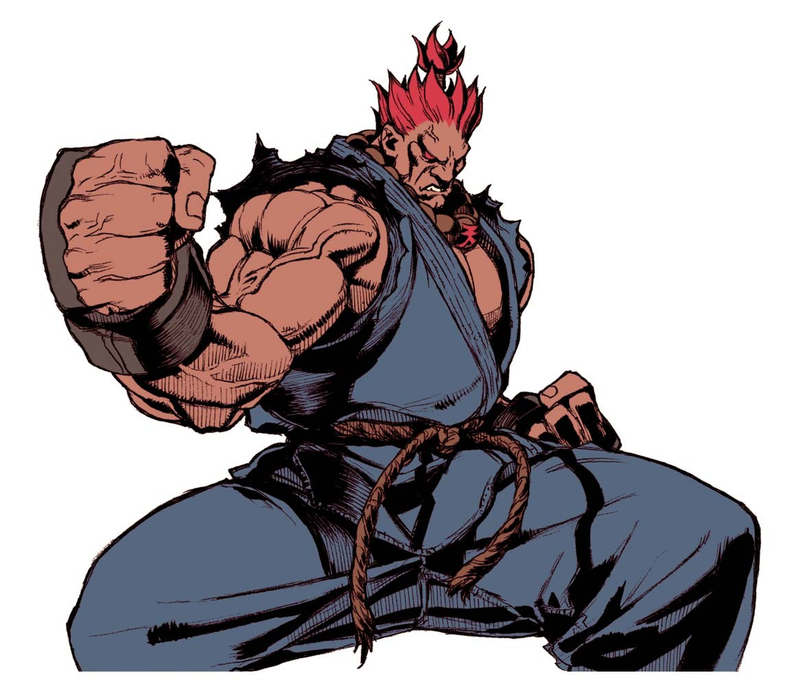 Enraged, he attacks Akuma but is easily defeated. 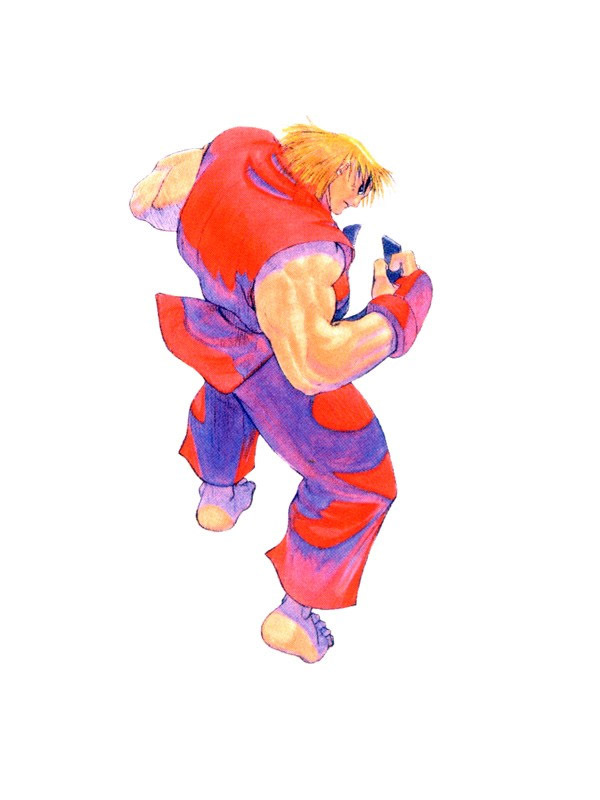 Akuma then vanishes from the dojo grounds. 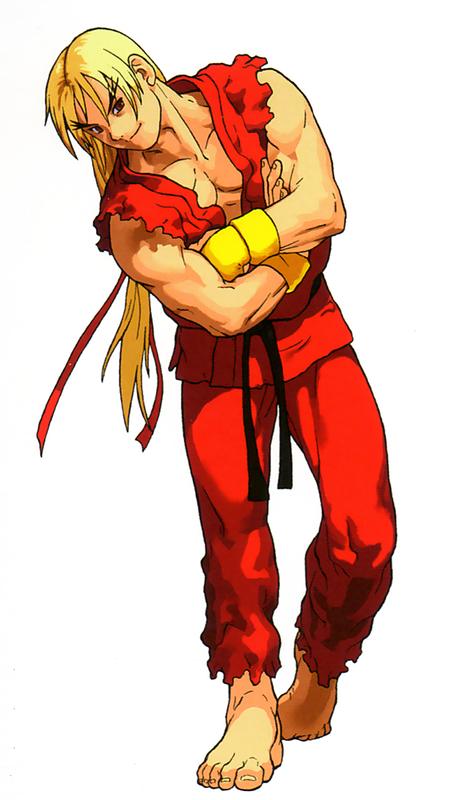 Afterwards, Ken searches for Ryu to inform him on what had happened to their master. 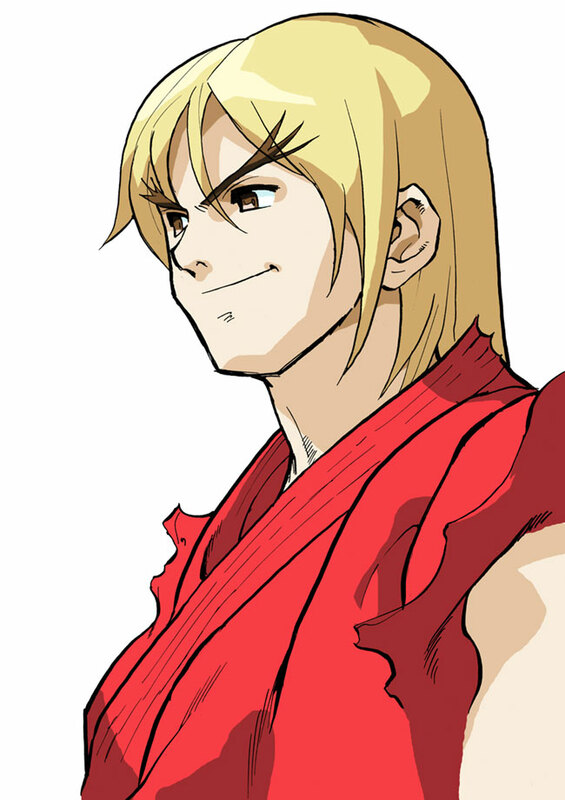 Upon meeting Ryu, they catch and decide to have a match like old times. 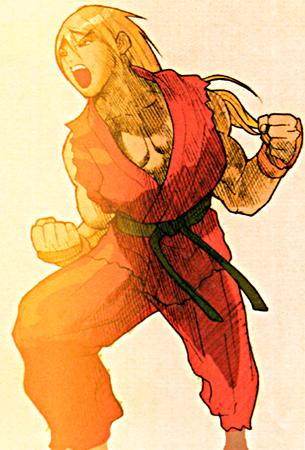 Upon winning, Ken realizes Ryu wasn't acting like himself (which he later learns is due to his recent fight with Sagat). 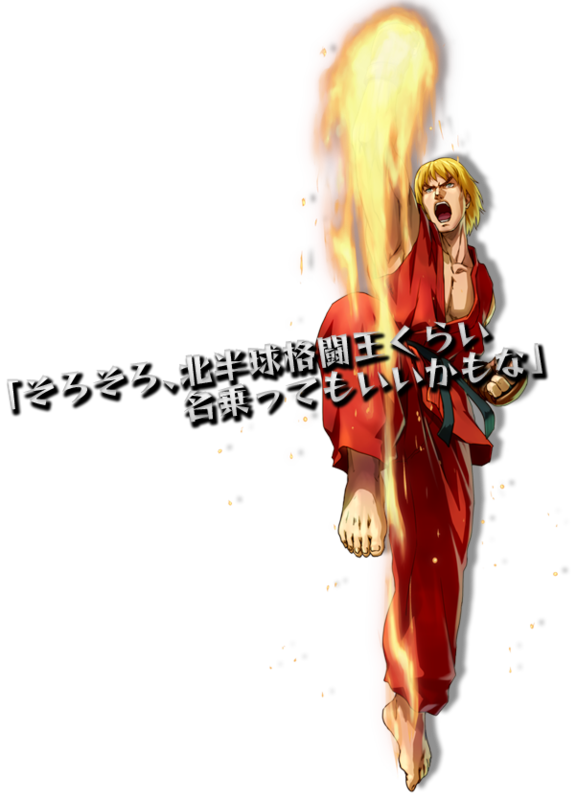 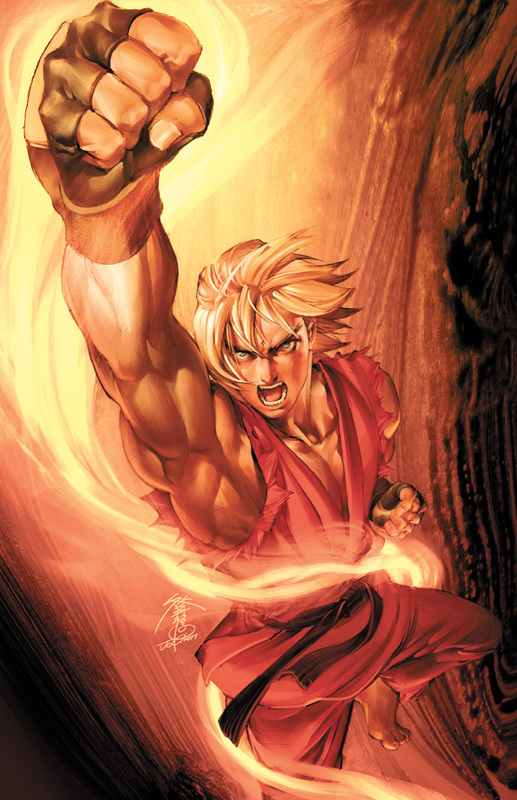 Ryu tells Ken that deep within him, there is a burning rage... a power trying to overcome him. 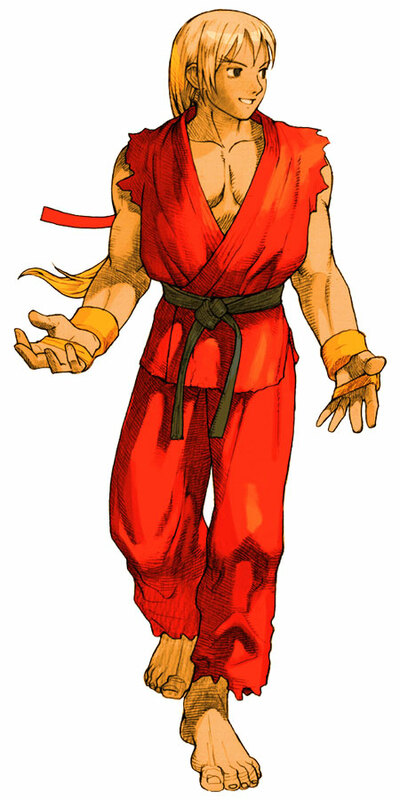 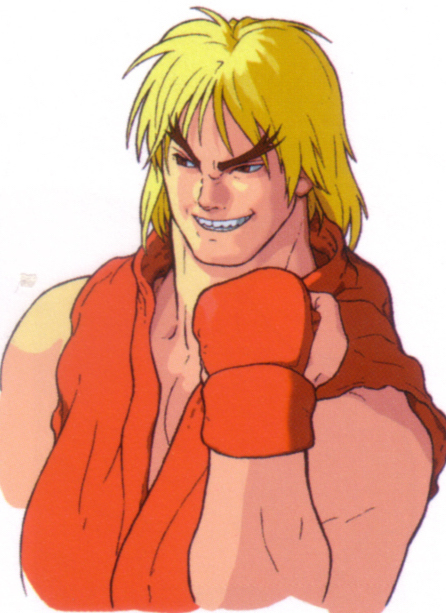 To cheer him up, Ken gives Ryu his red headband and tells him to stay focused. 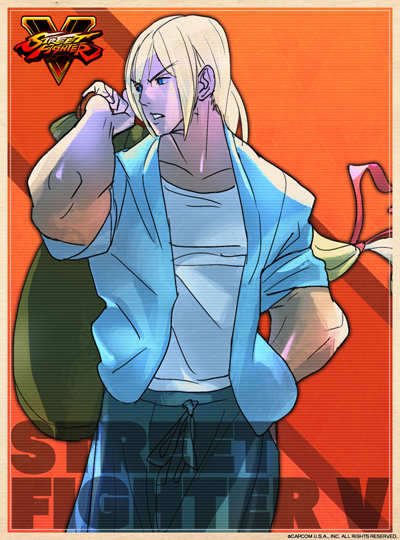 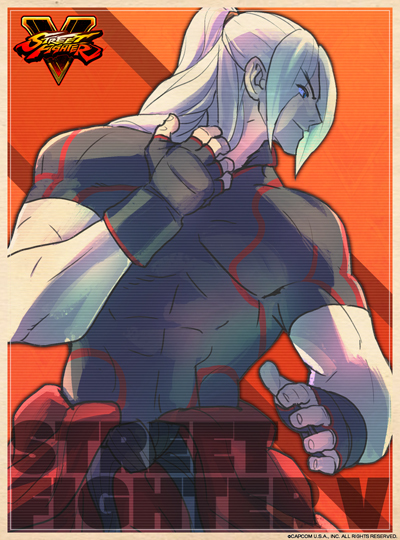 Ken then receives an invitation to the second Street Fighter tournament, but due to spending so much time with his girlfriend, Eliza, he has been slacking on his training. 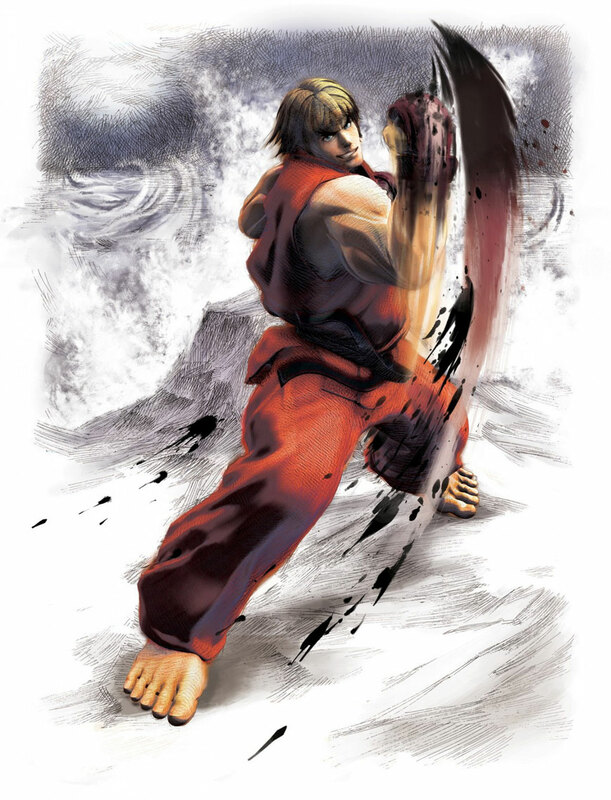 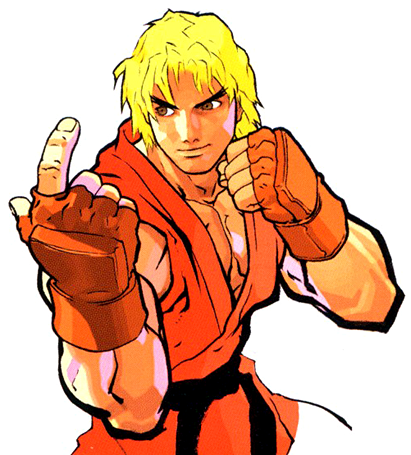 However, Ryu personally challenges Ken, which inspires him to enter the tournament and continue his training. 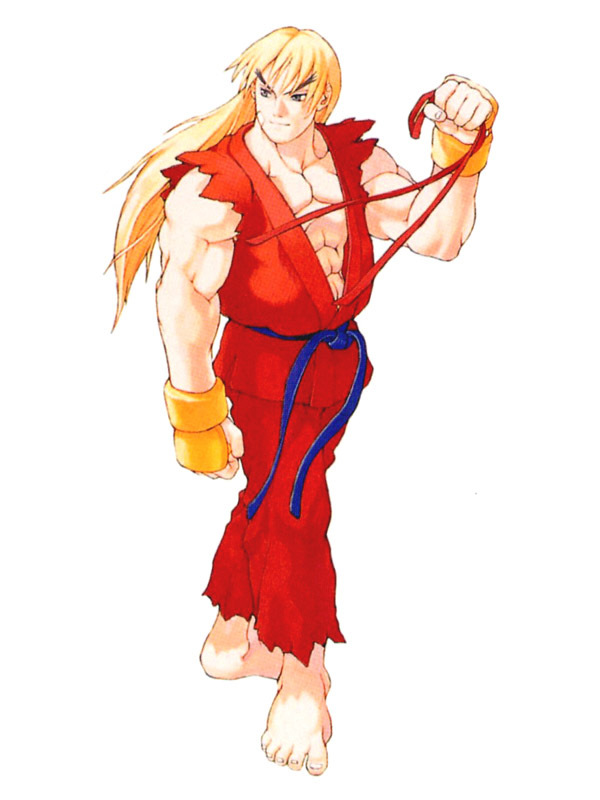 After the events of Street Fighter 2, Ken marries Eliza, something he vowed only to do after winning a decisive victory against Ryu (it is believed that Ken did defeat Ryu during the events of SF2). 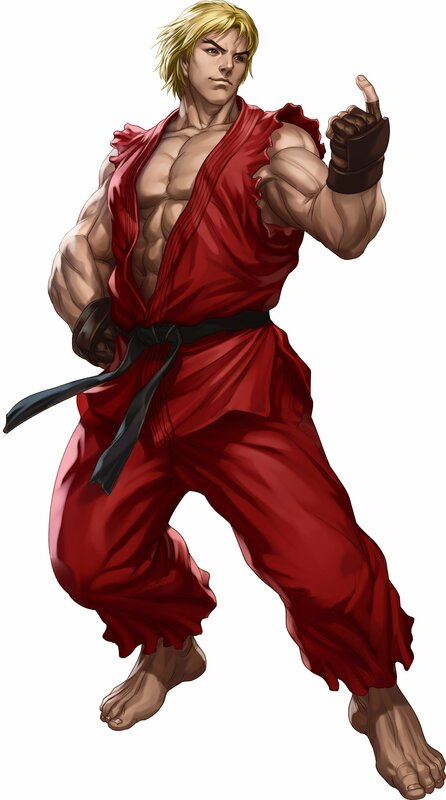 At one point during the tournament, M. Bison takes control of Ken after inducing a large amount of Psycho Power into him, and "Sennou Ken" becomes Ken's alter-ego for a short period of time. 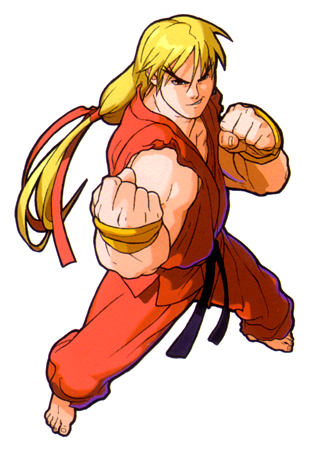 Ken becomes a killing machine for a brief while, and attacks several of his friends. 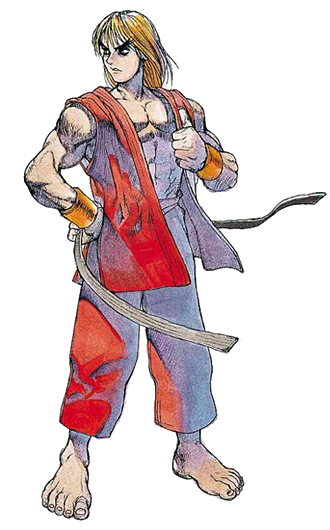 After he recovers, Ken ends up helping the other fighters defeat Bison. 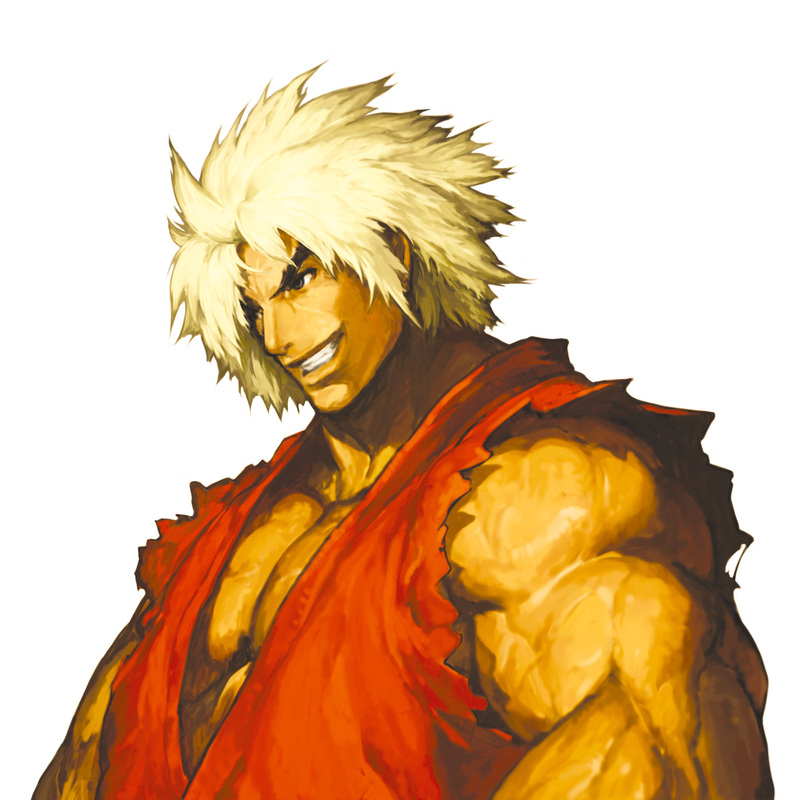 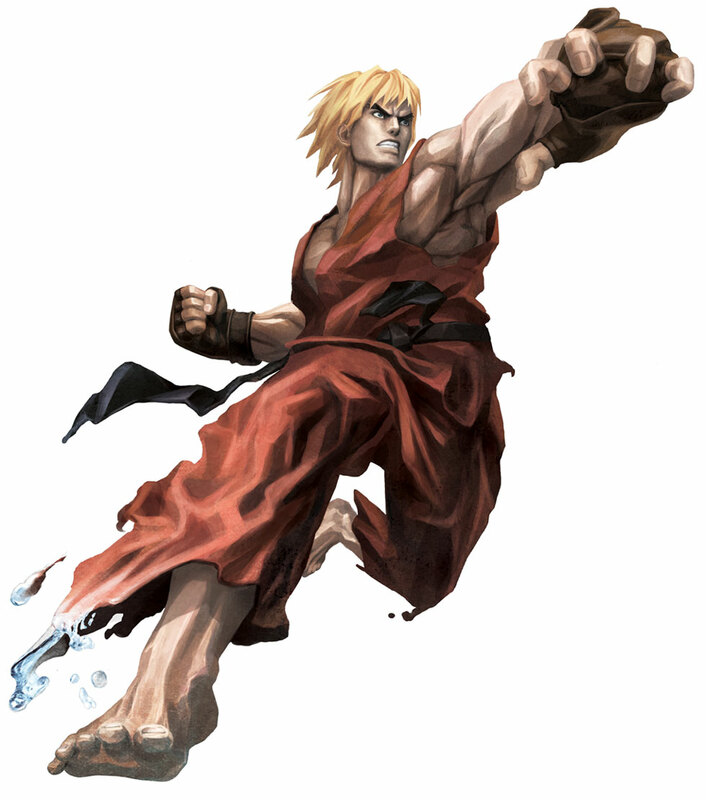 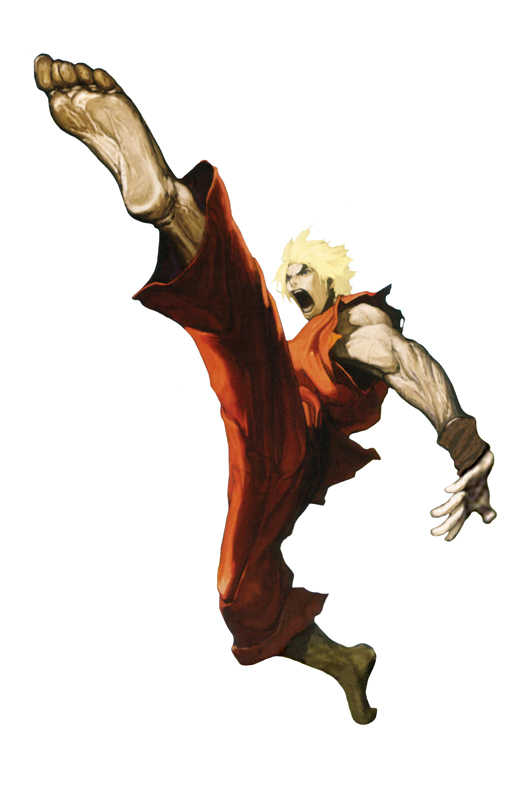 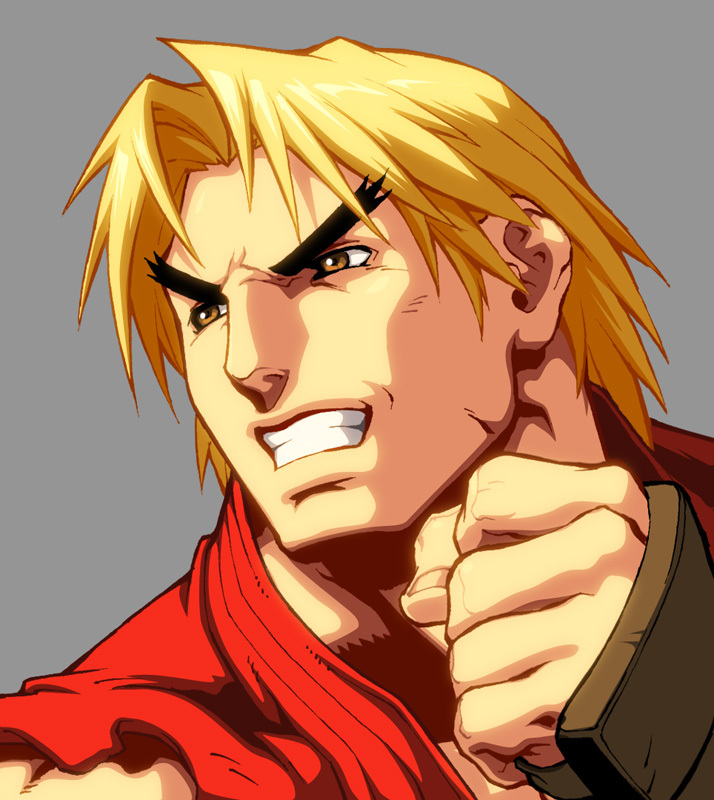 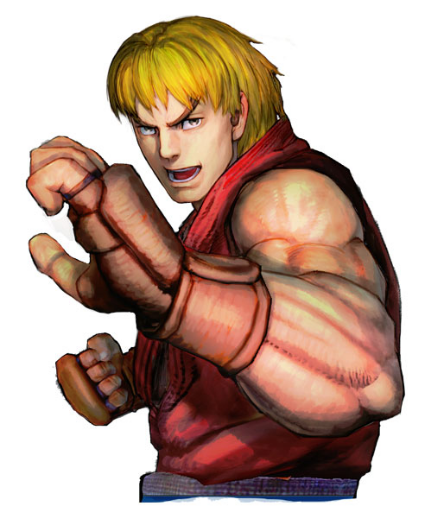 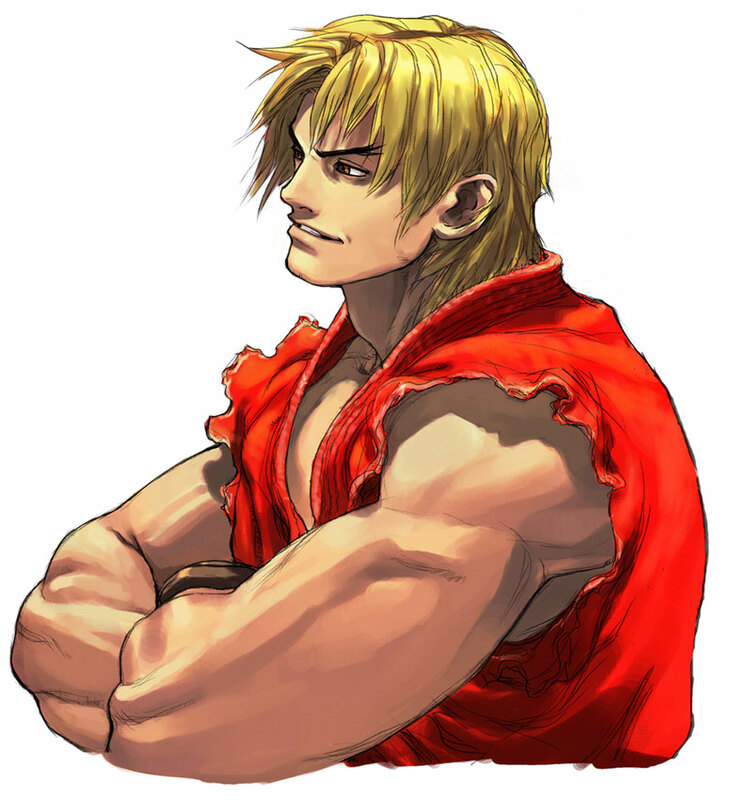 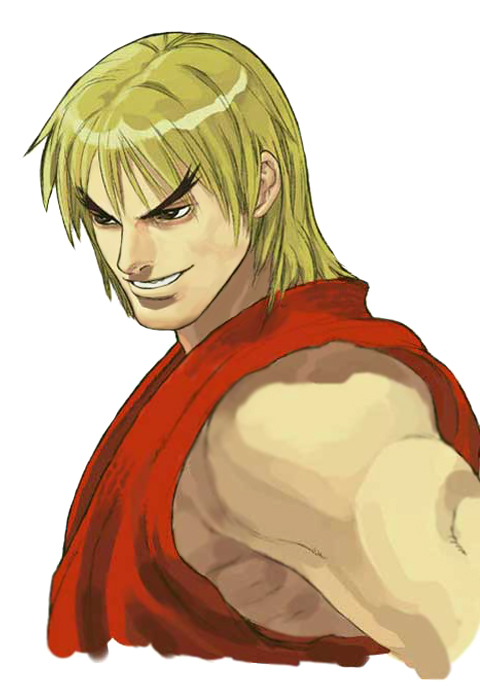 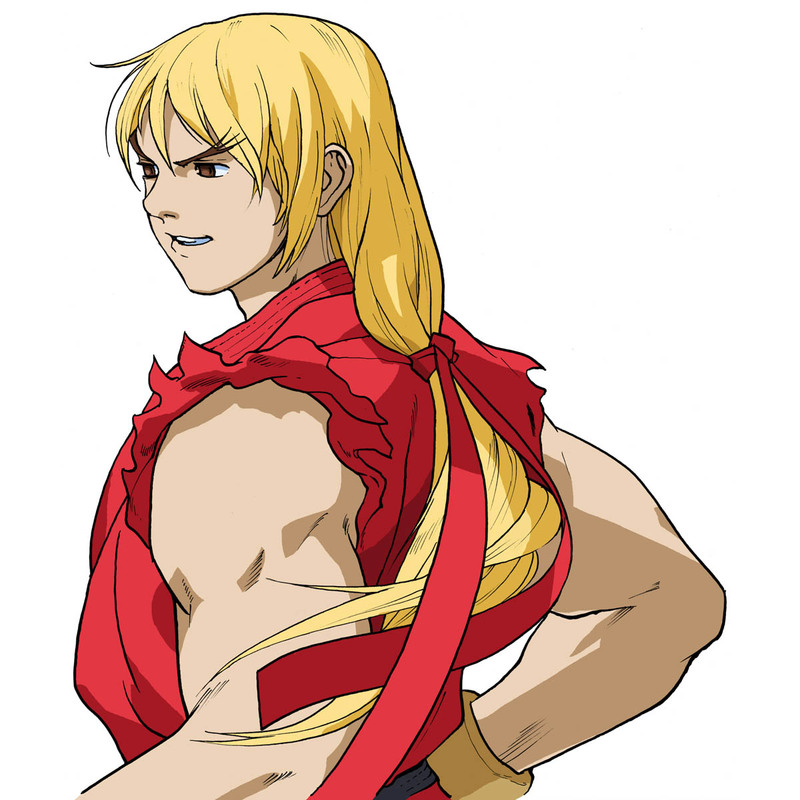 In the SNK VS Capcom Chaos storyline, Ken absorbs the Orochi power and becomes Violent Ken. 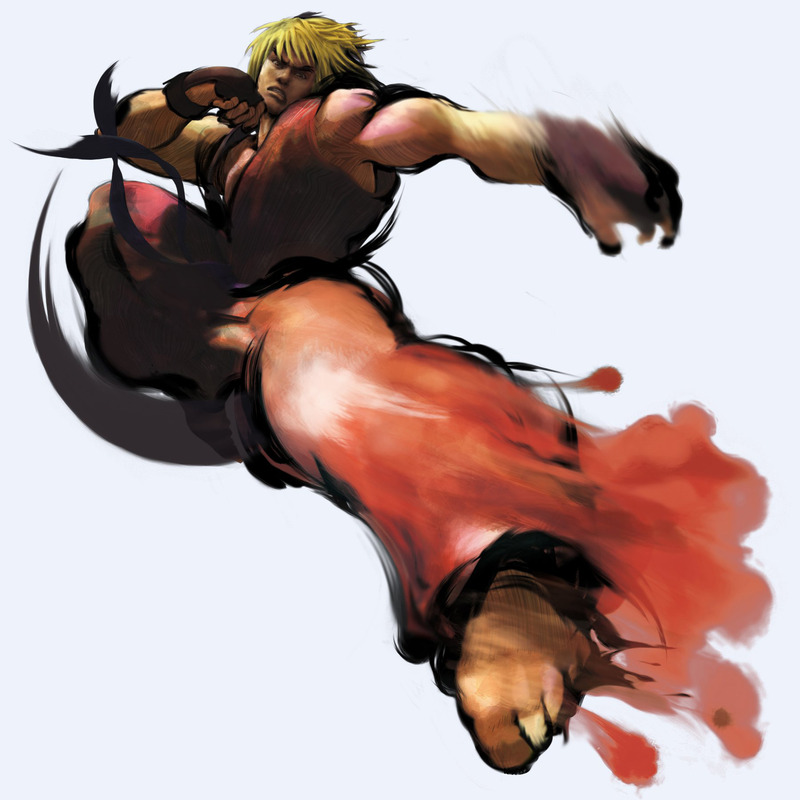 During the events of Street Fighter IV, Eliza is a few months pregnant and Ken doesn't want to leave her to enter the tournament. 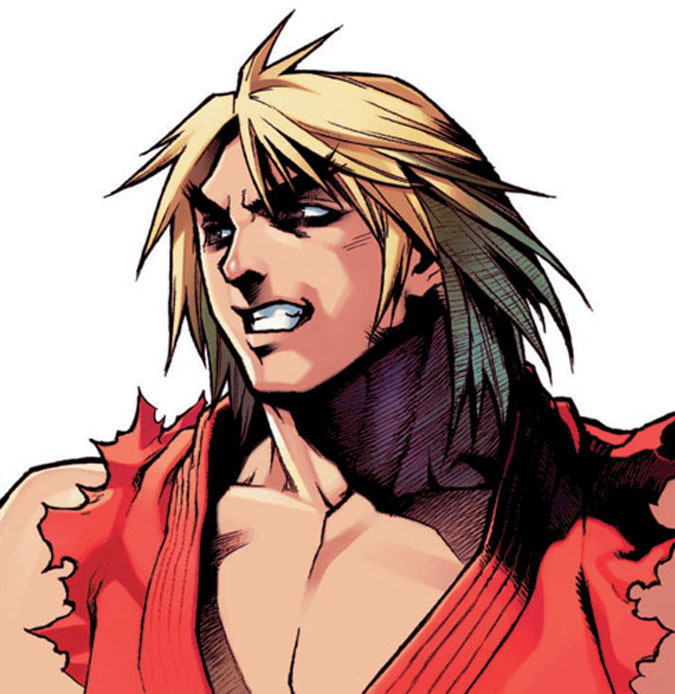 Eliza senses his inner conflict and assures him that she'll be fine, and the baby isn't due for quite a while, persuading him to enter the tournament. 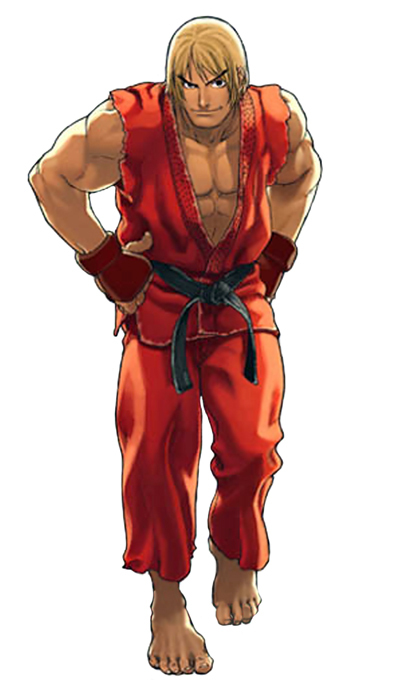 After he enters, Ken encounters a weird guy named Rufus, who claims to be his rival. 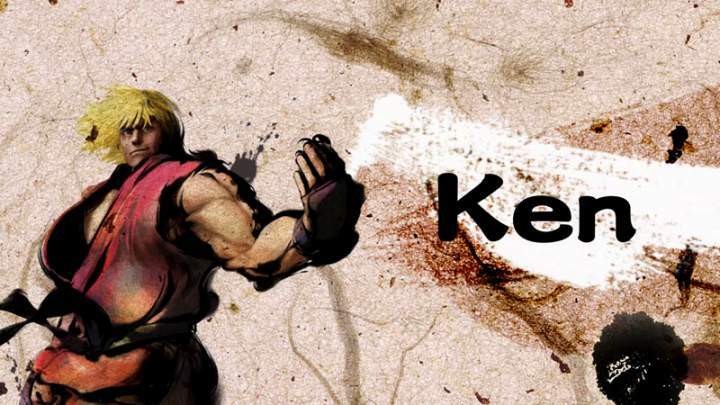 After the tournament, Ken discovers that Gouken did not die in the battle with Akuma. 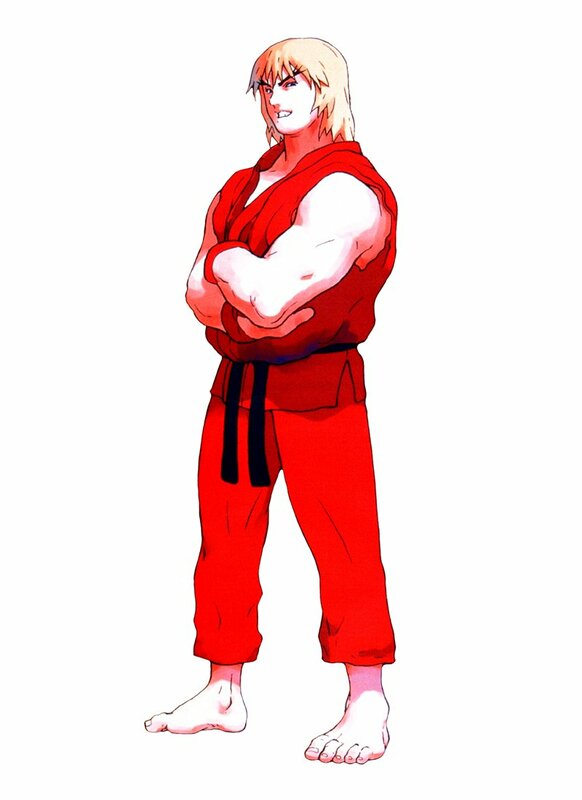 Many years later, Ken decides to enter the third Street Fighter tournament. 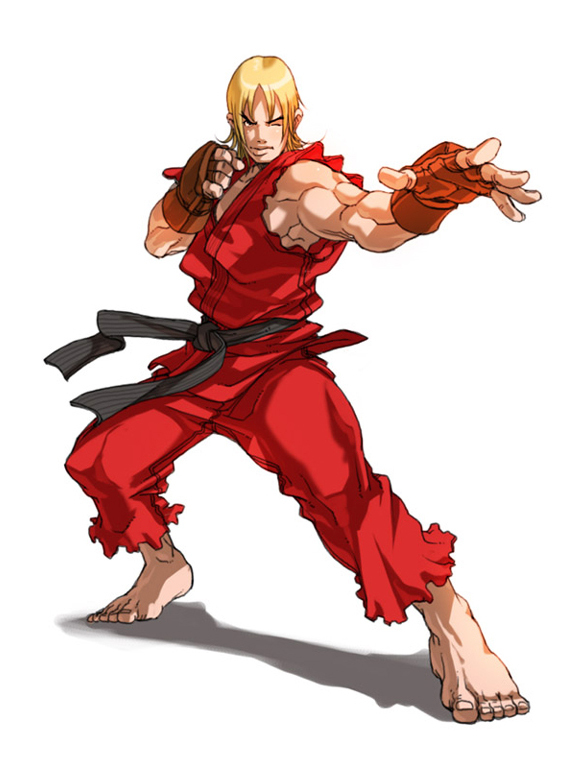 During this time, a Brazilian teenager named Sean consistently begs Ken to train him, and Ken reluctantly accepts. 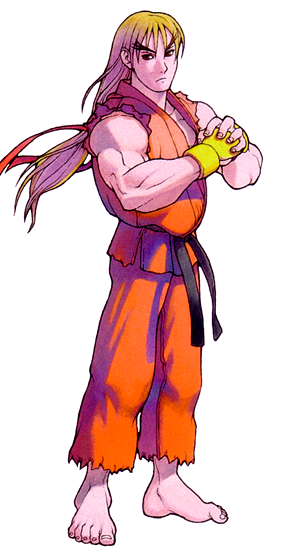 Ken also trains his son Mel, who is now old enough to learn martial arts. 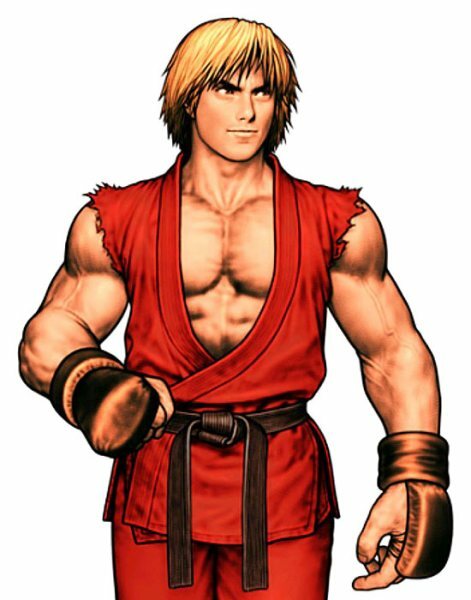 As the friendly rival of Ryu, Ken has always been trying to steal the show. 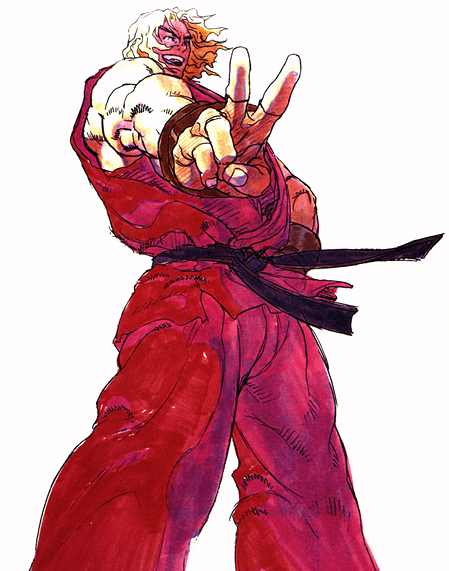 Even though he fights very similarly to Ryu, his persona has always been very very different. 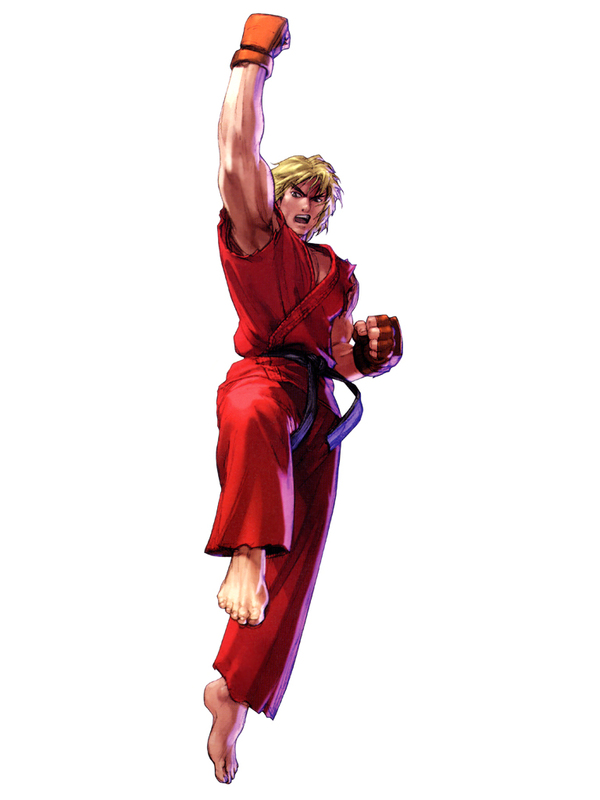 In addition to his iconic taunts & mannerisms, Ken's unique spin on the classic "shoto" moves also show off his personality and unrivaled charisma. 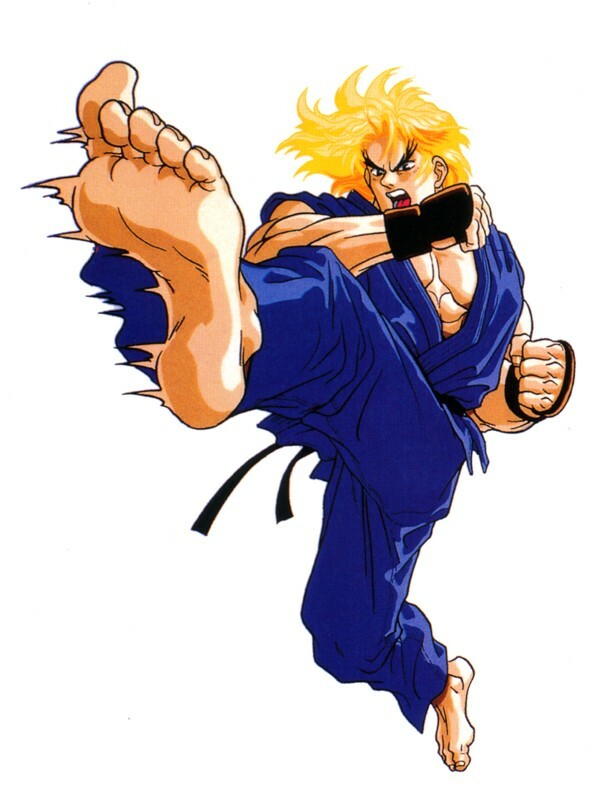 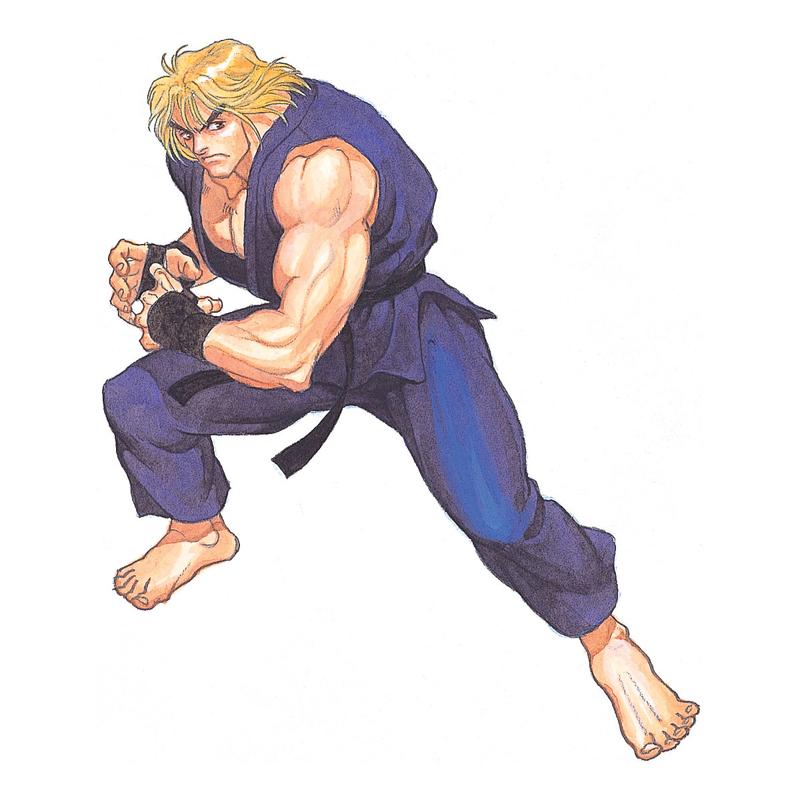 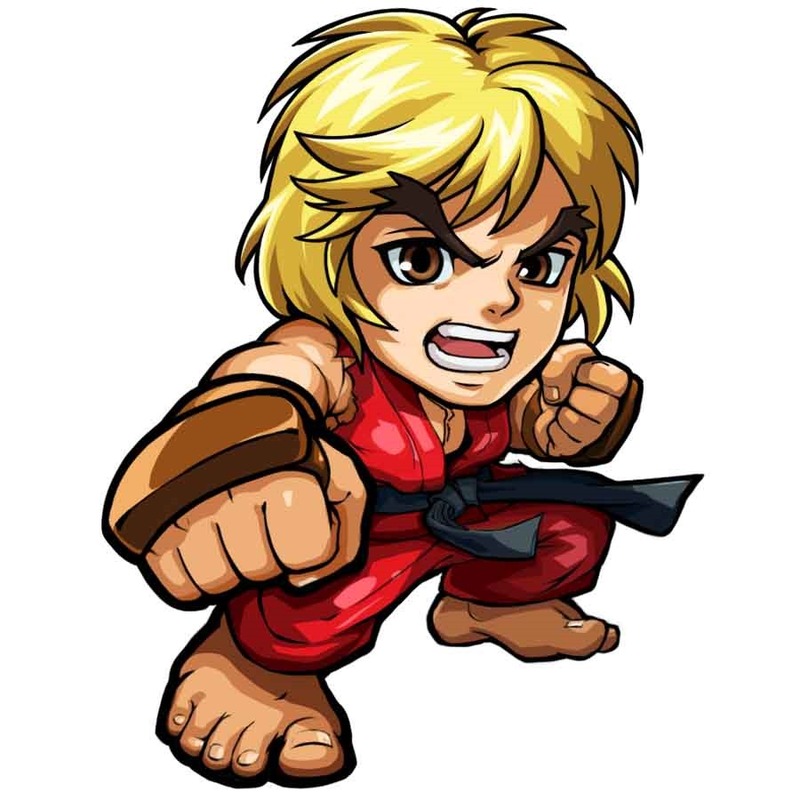 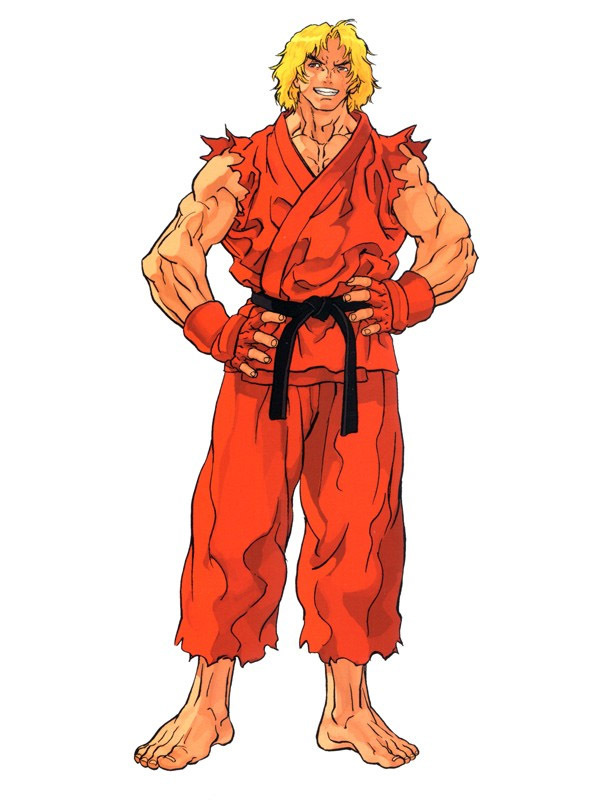 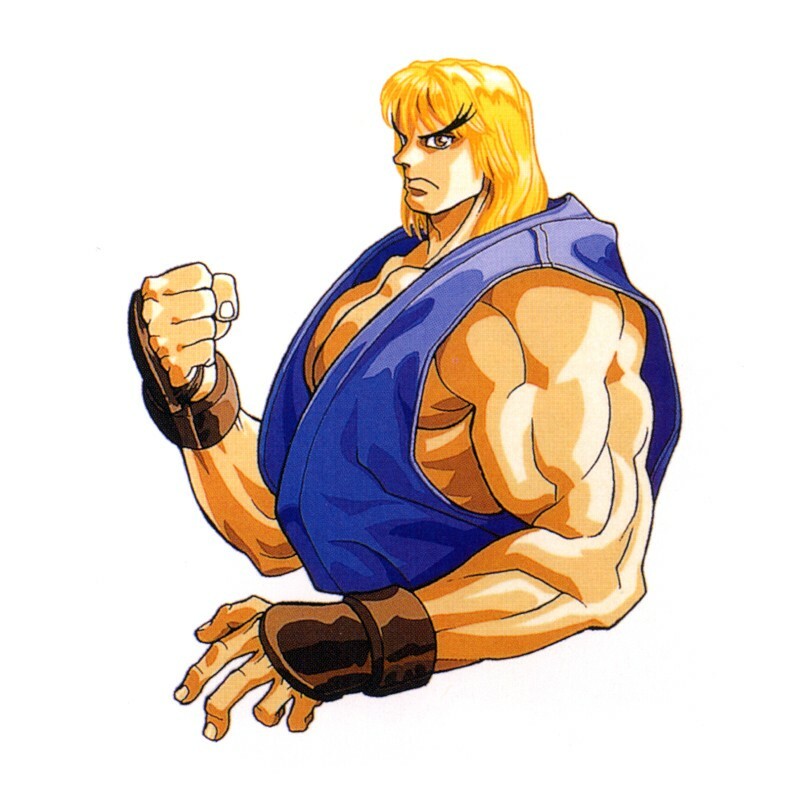 Over the years, Ken became an unforgettable character in the Street Fighter series and simply put, a Street Fighter game just wouldn't feel complete without Ken. 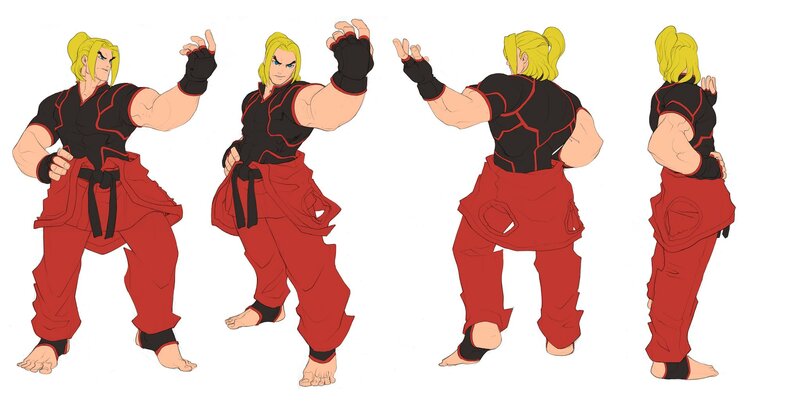 My personal favorite iteration of his? 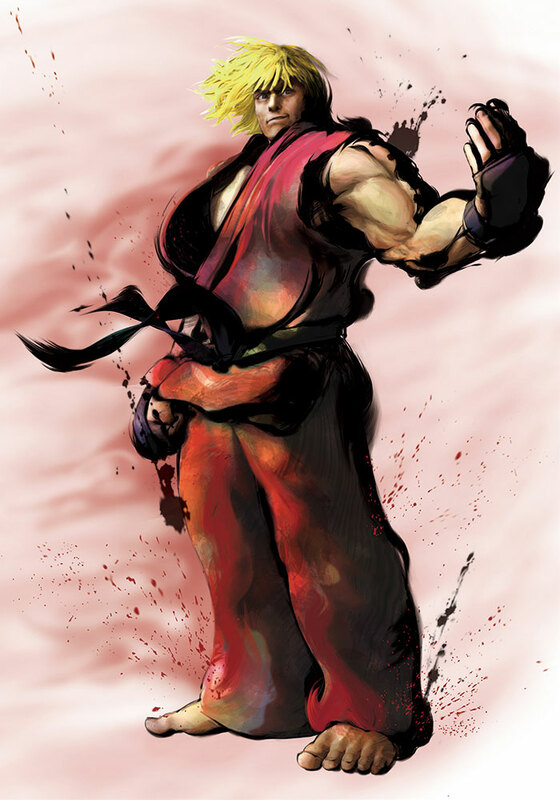 Street Fighter III... 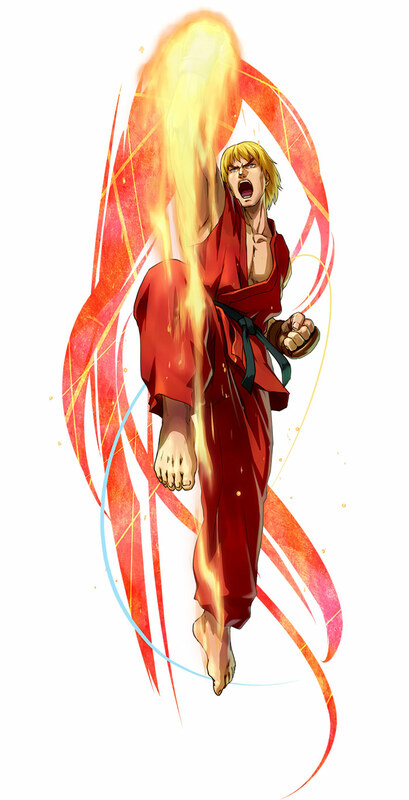 Shinryuuuuuken!!! 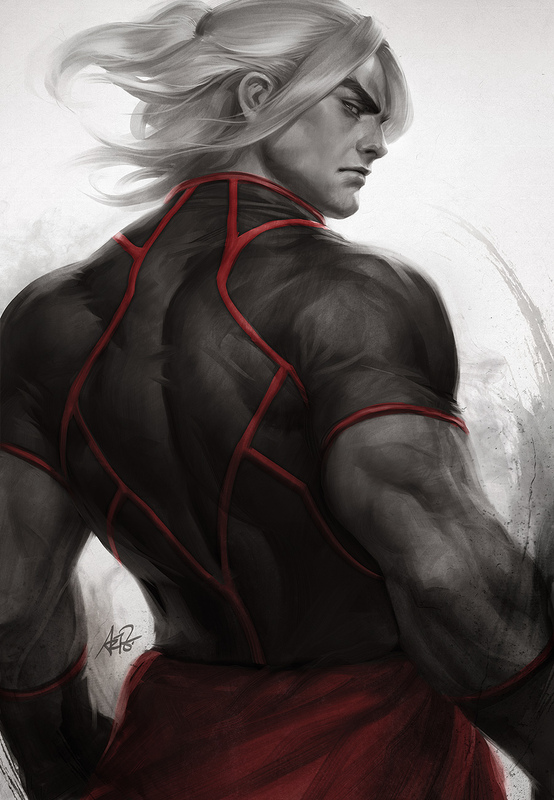 Click Here for more Ken Artwork!